Boston is well known for both its thriving biotech industry and for its high concentration of universities, and now the city's two largest economic sectors are overlapping with several academic institutions shrewdly expanding their science departments. Northeastern University is one of several schools to hop on this bandwagon. The school just announced that it will build a 180,000-square-foot academic facility, called the Interdisciplinary Science and Engineering Building (ISEB). Boston-based firm Payette won the commission to design the six-story building along with adjoining green spaces after participating in a six week design competition. The site of the building sits on the opposite side of Northeastern's main campus, severed by several rail lines. Payette has proposed constructing what they've dubbed "The Arc," a curved pedestrian bridge, that provides access between the new building and Huntington Avenue, which will also serve as a direct connection between Fenway and Roxbury. A number of landscaped paths and open "tributaries" will link the two separate neighborhoods. 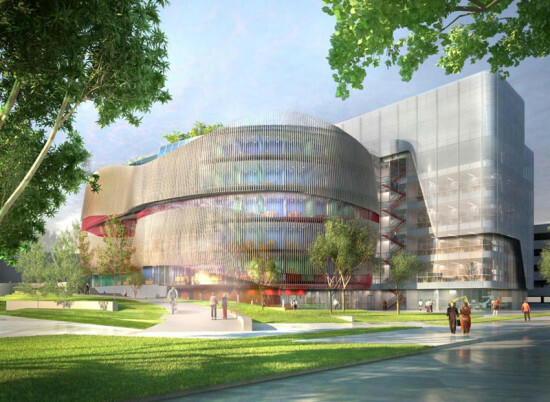 The ISEB will house four academic research departments: engineering, health sciences, basic sciences, and computer sciences. According to the firm, the "building massing has been organized in two main volumes; an east facing laboratory bar and a west facing office form wrapped around a central open atrium." The facility will be divided into offices, staff workstations, conference rooms, cafes, and laboratories dedicated to each academic research study. The building features a glazed curtain wall that will "be wrapped with an outer skin of fixed solar shading responding to the building orientation." This $225 million project is the first component of Northeastern's larger plan to create 600,000 square feet of space for academic research and to accommodate the university's plan to add 300 faculty positions. Agribusiness titan Monsanto has pledged hundreds of millions of dollars in upgrades to its research facility outside St. Louis, and design details are starting to pop up. 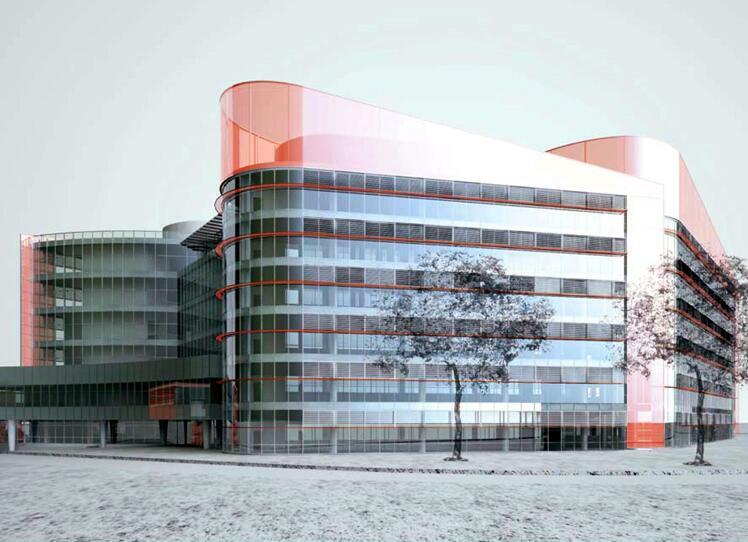 Cannon Design will plan, design and engineer a new 400,000 square foot center for life sciences research. The expansion will bring 675 new employees to Chesterfield, on the western fringe of the St. Louis metropolitan area. Those jobs will be mainly high-paying research positions, encouraging for suburban Chesterfield after tax revenue sagged following 2009 layoffs at Pfizer, another major tenant of the business complex. But, as NextSTL points out, some urbanists would rather see such development closer to the urban core—namely in the CORTEX bioscience district in the city’s Central West End neighborhood. CORTEX would turn an old telephone factory and other industrial buildings into a biotech business district along Duncan Avenue.